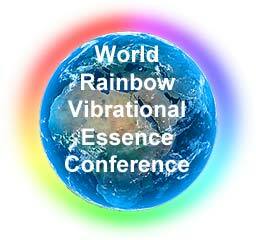 The World Rainbow Vibrational Essence Conference promises to be an exciting event and a great opportunity to find out more about Vibrational and Flower, Gem & Crystal Essences from some of the worlds leading experts. The three day conference is being organised by the British Flower & Vibrational Essence Association (BFVEA) and AS I ACT – a renowned International Charity. It aims to bring both a greater knowledge and understanding of Essences and also an opportunity to explore how we can attain greater well-being in ourselves and positive transformation in our world. The range of speakers booked for the conference bring with them a vast depth of expertise and knowledge in the field of Essences and include Essence producers, practitioners and other leading figures from the Essence world. The conference is being held over the 2011 Spring Equinox – which should in itself be a powerful and energetic time – and is in the beautiful house and grounds of Dev Aura, the spiritual home of the Aura-Soma colour system.